Hooray, I’m finally feeling better! I probably just jinxed myself by saying that, but anyway…it’s good to be able to taste food again. We had a long stretch of simple meals, or meals that were way spicier than usual, especially for Frank’s liking. He’s not a spicy kinda guy, but he took a few for the team. Including this dish. Combine all glaze ingredients in a bowl and set aside. Heat oil in large skillet on high heat until smoking. Toss shrimp with salt, pepper and sugar in a bowl. 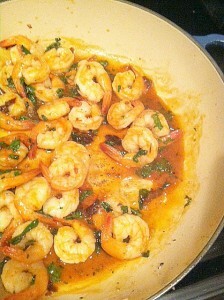 Add shrimp to pan and cook until edges turn pink. Cook in 2 batches if all shrimp don’t fit in a single layer at once. Return shrimp to pan if any have left, and add glaze. Toss to combine, turn off heat, then cover and let stand for a minute. Serve immediately. 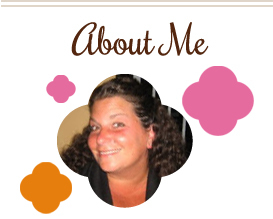 This entry was posted in chipotle, lime, main dishes, QuickAndEasy, seafood, shrimp. Bookmark the permalink.